What do canned fruit, shampoo, and blood preservation have in common? Yup, you guessed it. They all rely on citric acid produced by Aspergillus Niger! 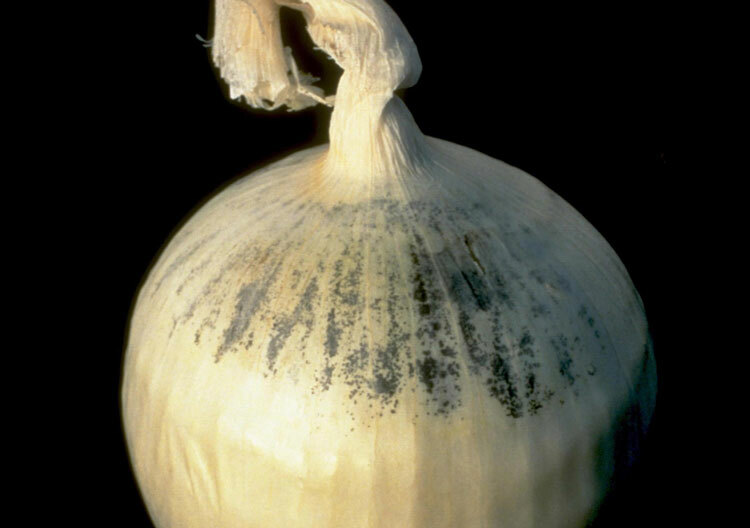 Aspergillus Niger has been used for citric acid production for over 100 years. Citric acid is used as preservative and flavouring agent in a wide range of commonly used products. Although modern blood preservation methods involve separating different components and storing each in a suitable way, citrate-phosphate dextrose is still part of the process. 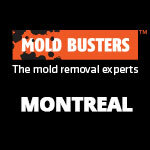 Aspergillus Niger is a type of mold and the most common fungus in the Aspergillus genus. The word Aspergillus is derived from the Latin word “aspergillum” which basically means “holy water sprinkler”. When viewed under a microscope, these fungi resemble the shape of these sprinklers. 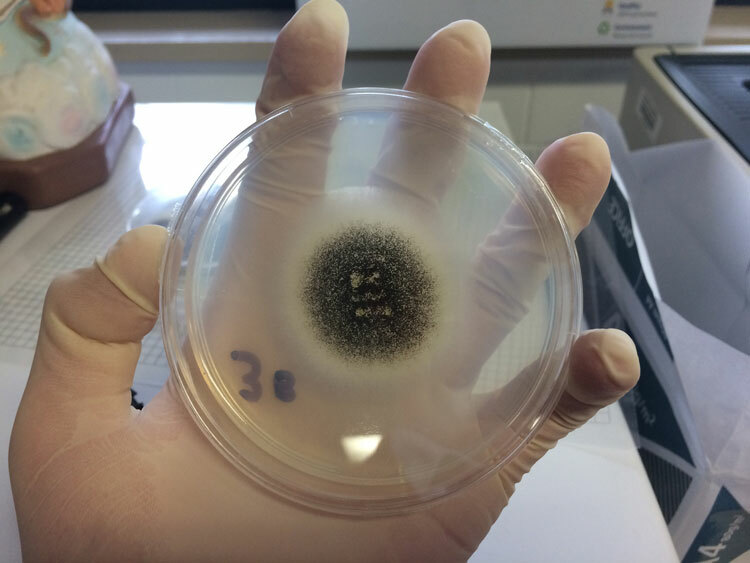 Species of Aspergillus were initially divided according to spore colour, and most species with brown to black spores fell under the Aspergillus Niger group. However, as technology improved, scientists noticed many differences between these fungi, and eventually most of them were classified as separate species. In addition to this, there are many of strains of Aspergillus Niger which differ widely in morphological and physiological properties. Aspergillus Niger can be simply cultivated in the lab and has therefore been the subject of extensive research. A food chemist called James Currie made an interesting discovery in 1917 – any strain of Aspergillus Niger produced high concentrations of citric acid when cultivated in a sugar containing medium . Two years after Currie’s discovery, Aspergillus Niger became a regular part of industrial-level production and the biochemical fermentation industry began to flourish. 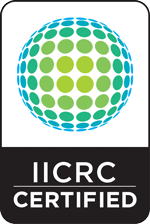 As a result, industrial biotechnology was born . Today, citric acid production by Aspergillus Niger fermentation is a multi-billion-dollar industry. Aspergillus Niger is not only used for citric acid production, but also for production of glucoamylase, α-galactosidase and many other industrially significant enzymes. In contrast with other Aspergillus species, Aspergillus Niger is unlikely to cause human illness. Although some strains do produce mycotoxins, including ochratoxin A , Aspergillus Niger is not considered to be dangerous. Multiple animal studies have concluded that no negative health effects occur after inhalation or consumption of Aspergillus Niger . However, it’s a food spoilage organism and can be found on practically any stored food, particularly in warmer climates. This includes fruits and vegetables, nuts, cereal grains, and dried, smoked and or fish and meat products . Humans are exposed to the spores on a daily basis without any negative health effects. The fungus is “generally recognized as safe” (GRAS) by the US Food and Drug Administration. Historically, there have been cases where the fungus caused lung infections, but always in individuals with a weakened immune systems or a history of severe illness . However, among horticultural workers, the development of a serious lung disease called aspergillosis is a common occurrence due to repeated inhalation of fungal spores. 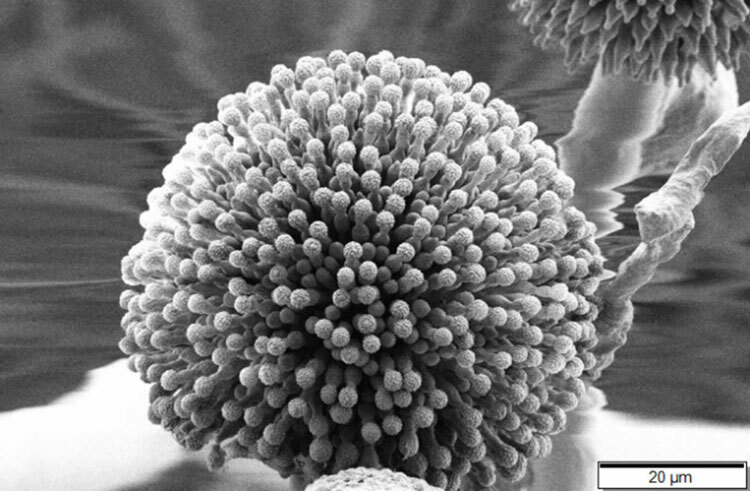 Although Aspergillus Niger has been identified in some cases, the usual suspect in aspergillosis is A. fumigatus. In tropical areas, ear infections are sometimes caused by Aspergillus Niger. However, the fungus is rarely the first causative agent, usually only causing infections when individuals were recently ill or treated with antibiotics. People with ear lacerations are also susceptible to infection by Aspergillus Niger, but treatment is simple and available. What are Aspergillus Niger health effects? As stated above, Aspergillus Niger has virtually no health effects (positive or negative) on the average person, and most people can handle inhaling moderate amounts of spores. In fact, all of us are exposed to some airborne spores on a daily basis. Only people with severe immune deficiency, such as HIV and leukemia patients could be seriously affected by this fungus. Individuals who have severe mold allergies could also be affected by the fungus, with reactions such as asthma attacks and allergic alveolitis. It can even cause fungal balls to develop in the lungs of individuals exposed to it in large quantities. While this is unusual, it could be disastrous if the wrong person is exposed to a large amount of these spores. However, this is far more likely to happen with spores of other Aspergillus species. Aspergillus Niger is arguably the least virulent member of the Aspergillus genus. Where can Aspergillus Niger be found? Aspergillus Niger is highly thermotolerant – meaning it can survive in extreme conditions such as freezing weather or heat waves. In addition, this asexual saprophyte is not picky when deciding what to contaminate, so it can be found almost anywhere. While its ideal habitat is decaying vegetation such as compost piles and dead leaves, it can be found in various other places. These include on stored grain, dried fruits and nuts, and even polyester-type polyurethanes. It’s an opportunistic fungus that will grow on anything if the conditions are favorable. How to identify Aspergillus Niger in your home? 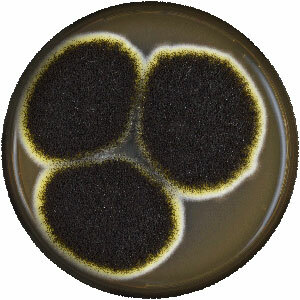 Aspergillus Niger molds are black or dark brown in colour. They often have a white layer beneath the surface. 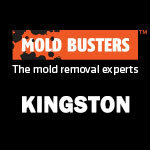 Aspergillus Niger is frequently pinpointed as the source of black mold and is the most common mold concern in homes. It can often be found on damp walls and other surfaces, especially in areas with significant moisture, such as bathrooms, basements, and kitchens. It can be found in household dust and also on fruits, cereals, and other organic matter. 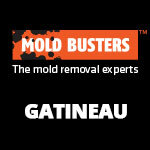 If you have a spot of mold but aren’t sure if it’s Aspergillus Niger, calling a professional mold inspection company may be the best way forward. While Aspergillus Niger is considered safe, it can easily be confused with other types of mold and various Aspergillus species which are considerably more dangerous. How to get rid of Aspergillus Niger? 70% ethanol or isopropyl alcohol. This is an effective treatment because the alcohol penetrates the cell walls of the spores and hyphae and effectively kills them. After applying the substance, leave it for 10 minutes and then wash the area with a clean rag or mop. Phenols, like scrub soaps, mouth washes, and surface disinfectants will kill Aspergillus Niger spores if left for 20 minutes after application. Once again, clean the area once the time is up. Bleach. 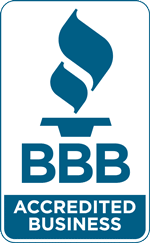 The hypochlorite found in household bleach will not only kill the mold, but also inhibit further growth. While home remedies are usually effective, larger or deeper Aspergillus Niger infestations can be quite persistent and are best left for the mold removal professionals. 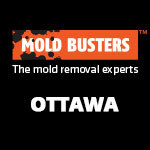 Call Mold Busters today to schedule an appointment. Schuster E, Dunn-Coleman N, Frisvad JC, Van Dijck PW (2002). On the safety of Aspergillus Niger – a review. Appl Microbiol Biotechnol. 59(4-5):426-35.